My children are naturally curious about games. They see my wife and I play various games from console to PC game, major studios to indie developers titles. For the most part they are happy to watch us, as though we are preforming some kind of show for them. Recently, our daughters have taken more of an interest in playing games. Our oldest is 7 years old, and is able to comprehend some of the basics of problem solving and puzzle based gameplay. She has had a lot of fun playing The Maw and Botanicula. Our youngest daughter has been more of a challenge. At 4 years old, it's easy for her to get frustrated with most games out there. Games on our 360 are out, her hands are too small. She's had some success with Flower on the PS3, but the later levels are a bit too difficult for even her older sister. I've been looking for something that she could play without worrying about it becoming too difficult or encountering content she isn't ready for yet. After purchasing the Humble Bundle 8 last night, I was immediately captivated by Proteus. It's beautiful, simple graphics and open island world left me stunned. Walking around the island, watching the days pass and seasons change, I realized that I'd found the perfect game for my little one. Some have called Proteus a "nongame" and discounted it as tedious or pointless. I wholeheartedly disagree with this perspective. 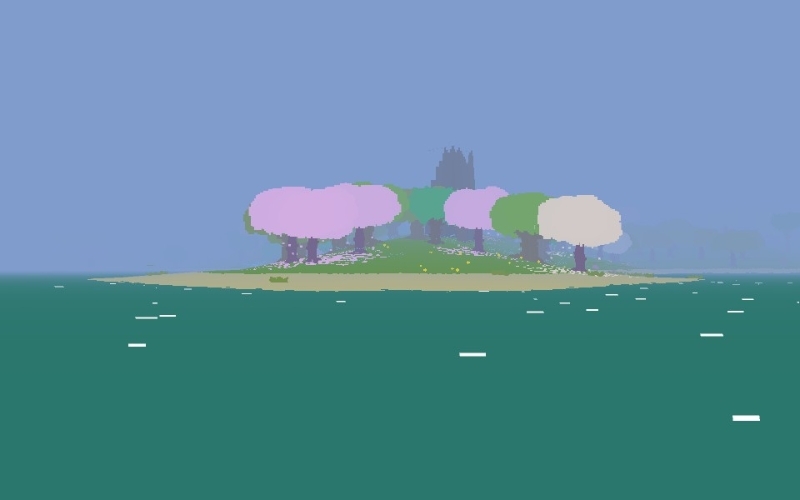 Proteus isn't a game about "winning" at all, but it is a game nonetheless. 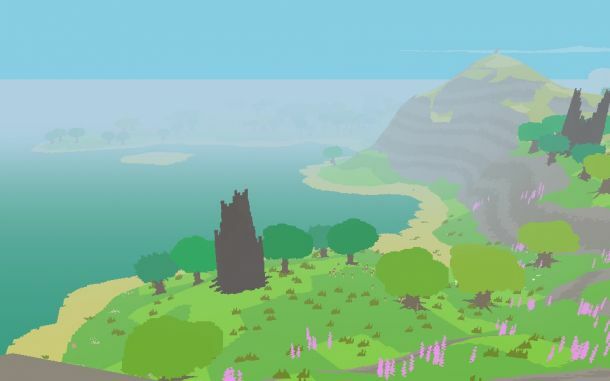 As Ed Key, one of the developers behind Proteus said in response to an article on Gamasutra; "Proteus doesn't have or even aspire to the same systemic complexity as SimCity, but it does have systems. It's just 95 percent optional whether you engage with them and it generally doesn't give you any confirmation when you do. There's a design reason for this." Anxious to see if little Miriam would enjoy romping around this imaginary world, I set her up in front of our laptop with a pair of headphones. I started the game and she eagerly clicked on the island to begin her adventure. Within seconds, she looked at me and asked "Daddy, why is it not starting?" After trying to explain loading screens to her, I settled on telling her the game was waking up. For about half an hour, she wandered the island. She chased flocks of birds, climbed mountains and ran into trees. Then she wandered to the beach and back into the ocean. Coaxing her back onto the island was useless. She spent the rest of her session moving further into the ocean. The island disappeared from view. Then it was time for dinner. My first thought was that Proteus wasn't the game for her; but the more I thought about it the more I realized that I was looking at this whole thing the wrong way. Proteus is not a game that you can play incorrectly. The entire premise is simply, "explore." My daughter did exactly that, and there's no way I can fault her for it. I already felt that Proteus was an intriguing game, but it was Miriam that showed me what is really special about it. Proteus offers us a chance to step outside of our usual roles as super soldiers, saviors, conquerors, heroes. We can explore the world before us however we see fit. be it sitting on a mountaintop watching the stars or moving miles and miles out into the ocean. 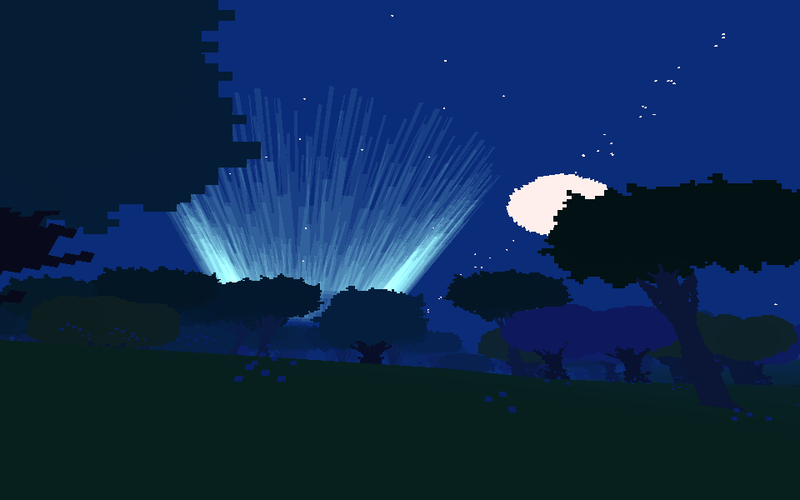 You can pick up Proteus on Steam, or you can pick it up as part of the Humble Bundle. I sincerely recommend the latter, as you;ll get a ton of other great games as well as help donate to Childs Play.